If a historian in the future would have to guess the condition of the EU based on articles and news from 2018, probably the prognosis would not be very optimistic. Public discourse on the EU has been focusing on crises, conflicts and escape scenarios, EU-scepticism is on the rise, and decision making processes are determined by the members’ short-term interests rather than common visions of the community. 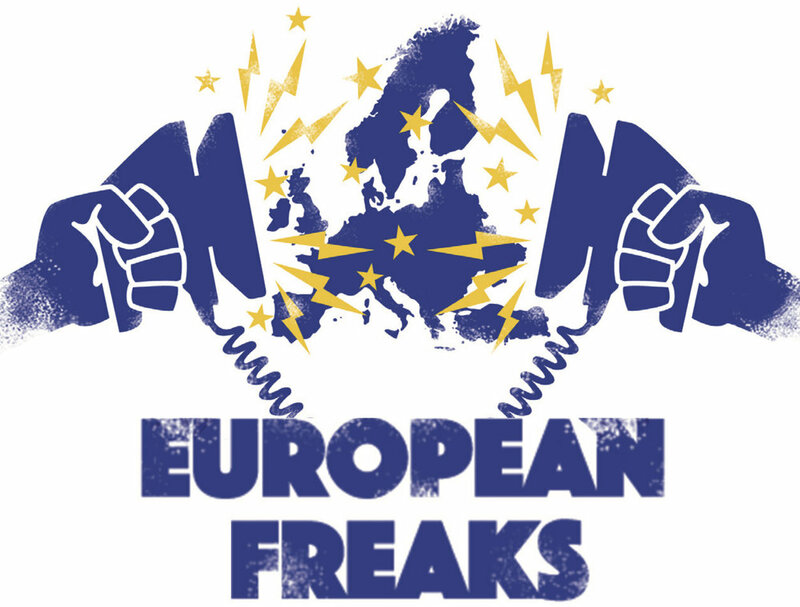 Is the Europe brand really a bunch of empty slogans, or is the problem with the declining quality of EU’s PR? And what should we do next: is it cosmetic intervention, facelift, or reanimation that is needed? What happened to the European ideology? 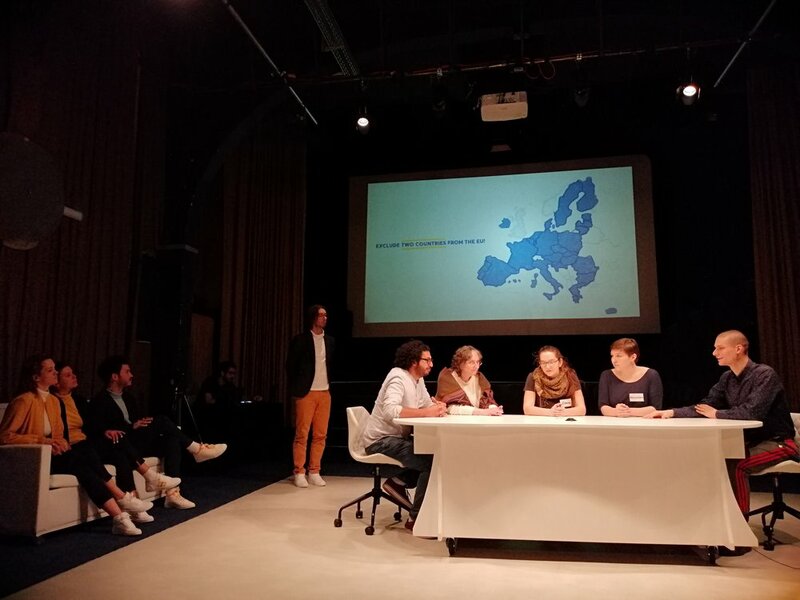 ITZ at Zimmertheater Tübingen and STEREO AKT organized an international conference along this issue, entitled “European Freak’s Con” in the beginning of february 2019. 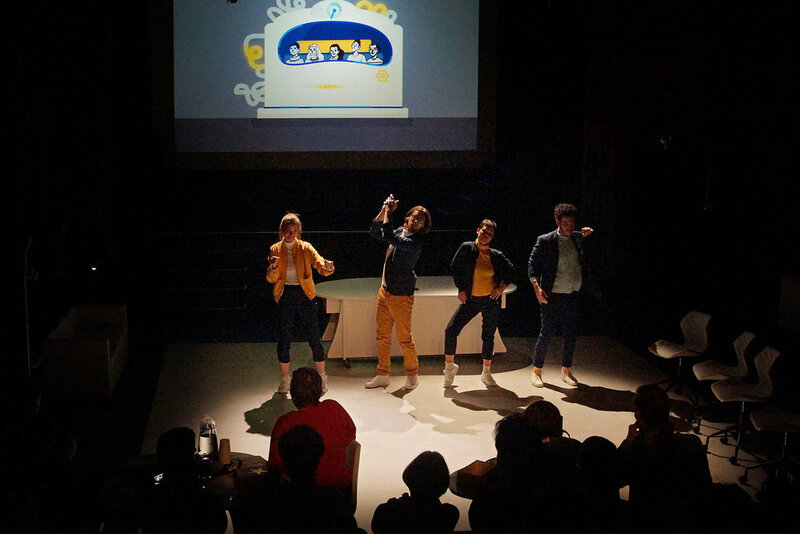 The Hungarian theatre collective STEREO AKT created a participative performance on the spot, using the experiences, questions and dilemmas raised by the conference. 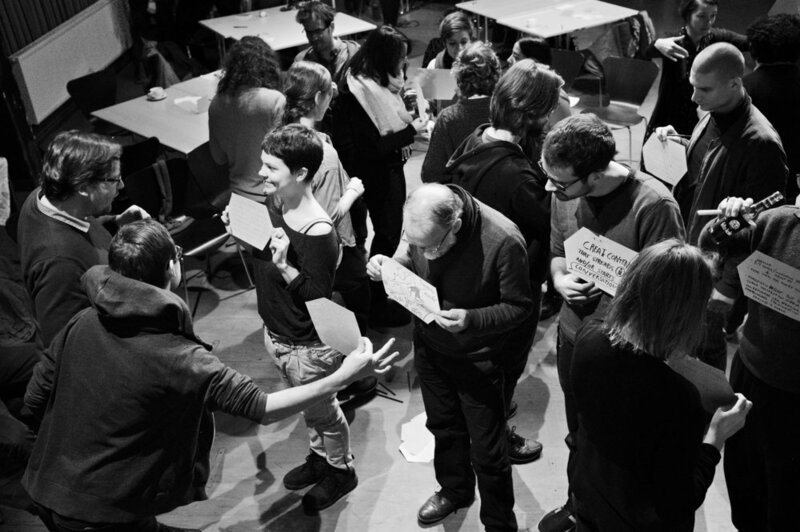 Together with a Bürgerbühne of Tübingen civilians the artist from STEREO AKT explore the future of Europe. 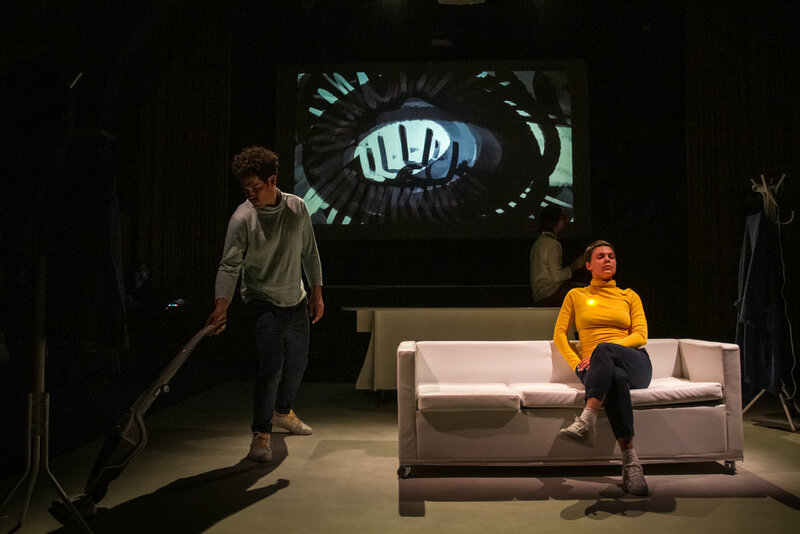 With 4 performers, an animator on stage, a sound designer and an unconventional setting of Löwen, the artistic team tries to imagine a Europe 2.0 in an event-like performance. 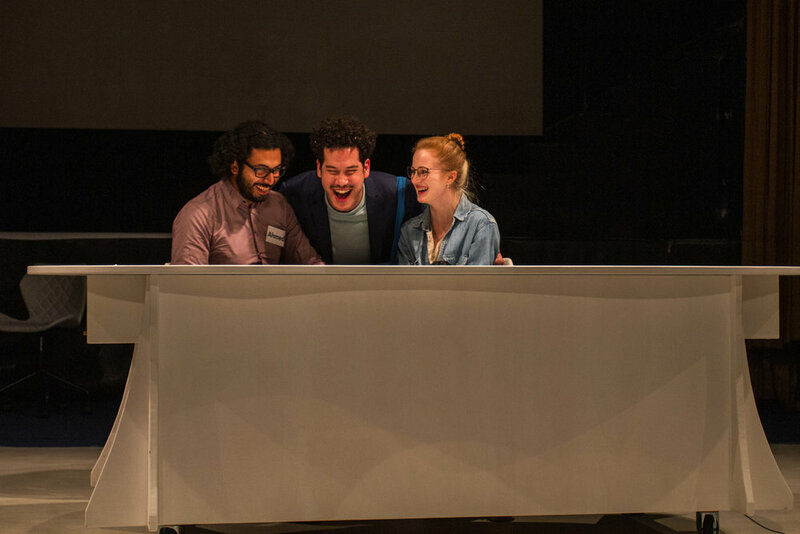 The main characters of this participatory piece are everyday people, non-professionals. They are taking part in a staged focus group research. 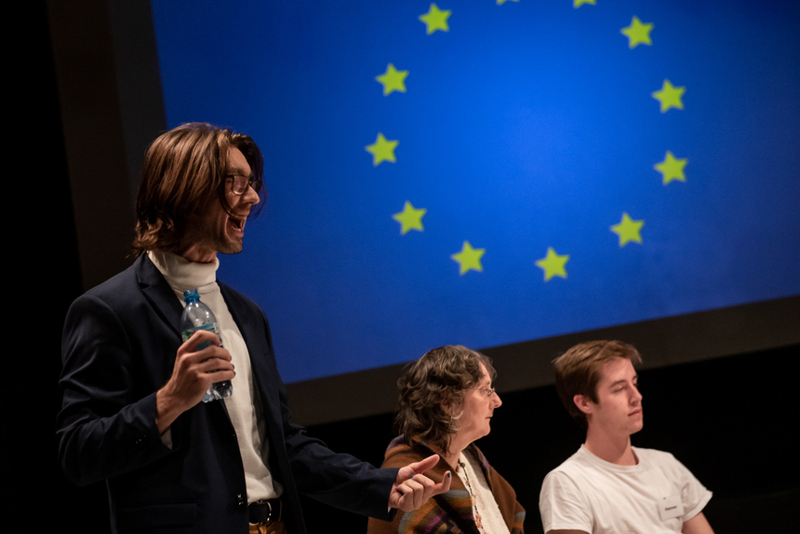 Their attitudes, emotions, and reactions on EU-related topics are being studied by the performers and the audience members. 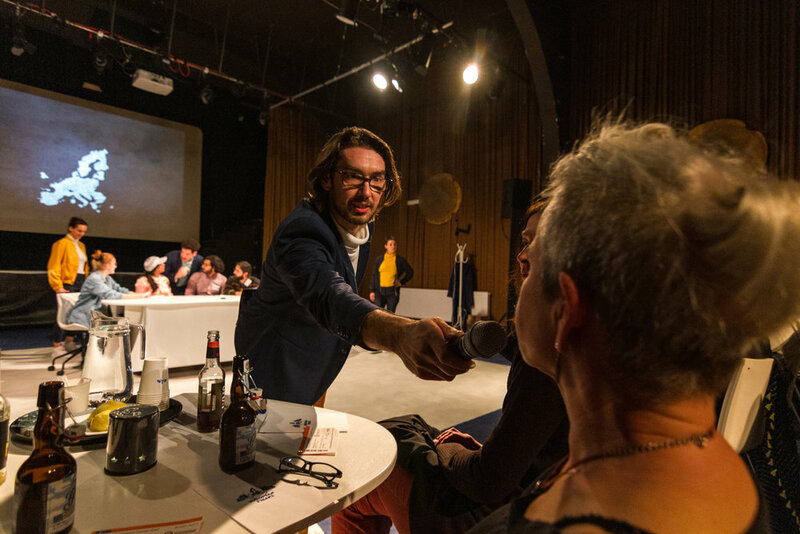 The researcher-performers are so called “Eurohumanoids” who become more developed and familiar with the European Values throughout the night by observing the human participants. The members of the focus group vary night by night. 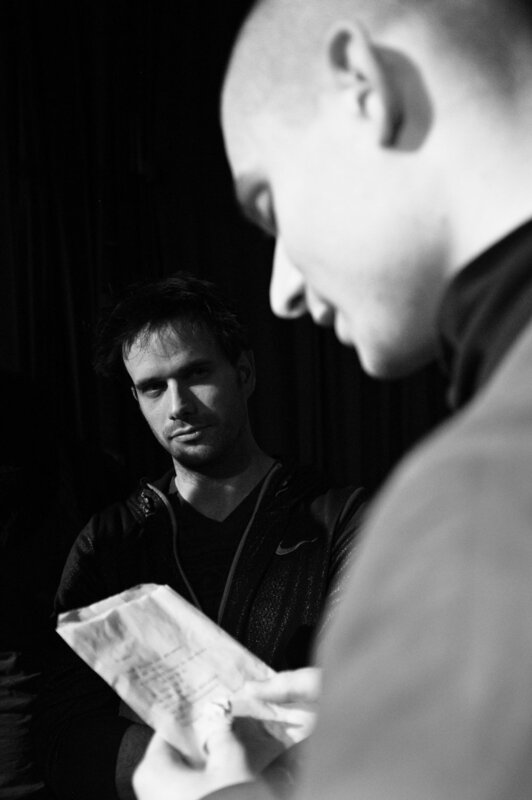 This makes this performance vivid and spontaneous.